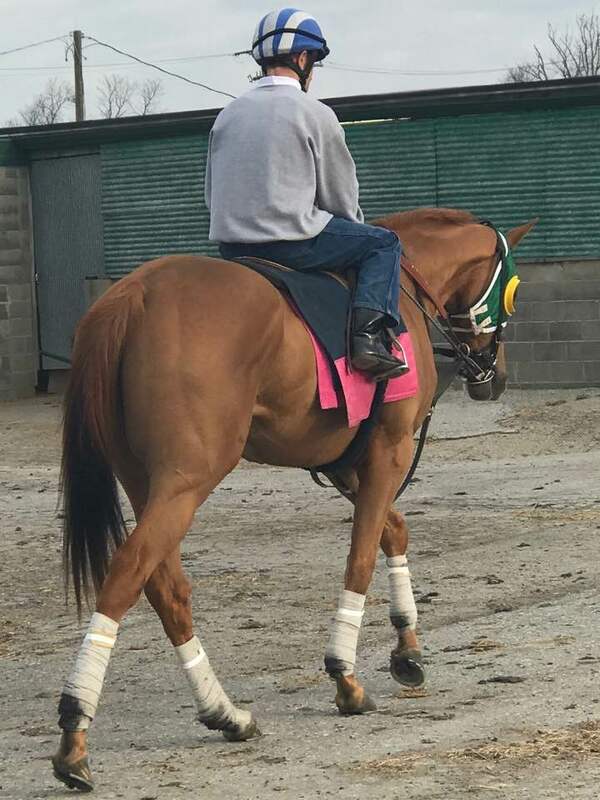 Thanks, he should be ready to go at Turfway later this month providing he gets his gate card. 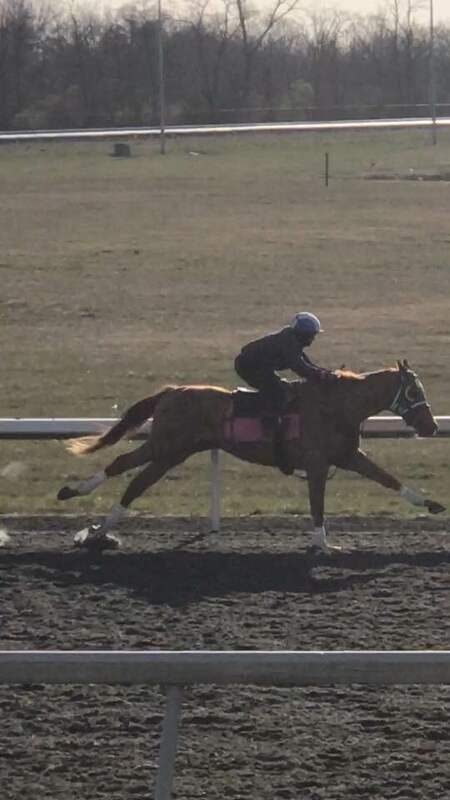 My filly's 1st three timed works have been nothing to brag about, hopefully she gets with the program and shows us some speed. We still have hope, not giving up yet. Good luck with your guy, I bet he wins first try. He is breezing five furlongs now and in company. He, like many others, is far less motivated when going solo and even in company I doubt he'd set the world on fire over three furlongs. He wants a lot of distance and once he's gotten a race under his belt that's where he will, I suspect, be pointed. Here are a few pictures of him, he's over 16 hands now. I will see him in a few weeks. I wouldn't worry about breeze times, as long as she's getting more fit it's good progress. Yes, nice pics! Looks like he's shifting gears with that horse behind him. And thankyou, not worried about the breeze times yet, trainer says 5f will give us a better idea. How's your filly doing, Jeff? Echo has his gate card so he is ready to go. You mentioned his stride, I took these off the video of his breeze when I was out there. He's solo and the rider isn't asking him. Not the best quality as it's extracted from the video. Here's one of him coming back from his gallop two days later.